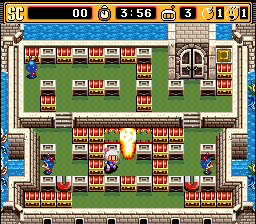 New ROMs: Old ROMs; Same Difference. Thanks to Callis yet again, here’s a set of new ROM releases. Rather than go for “Strange” ROMs like I have done previously, this post will be dedicated to things one might find boring – or not. There’s still a chance there’s something in these I don’t see at first glance, after all. Let me start with the one you’re least likely to play first. 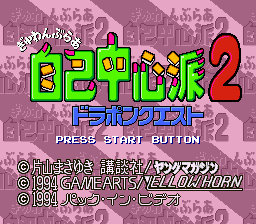 “Gambler Jiko Chuushinsha 2 – Dorapon Quest”. 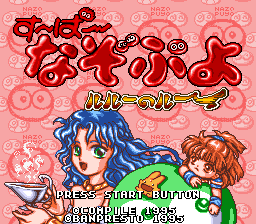 I do not know much about the game in particular, but it’s based off a SFC cartridge release of some sort. 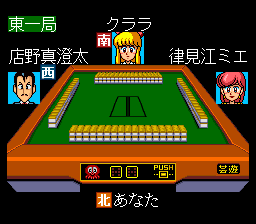 It seems to be Mahjong game. Bummer. Next up is a title a bit more easily accessible to an international audience. 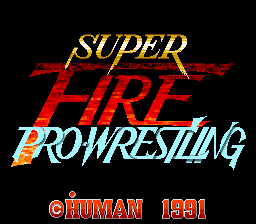 Super Fire Pro Wrestling is a game in the cult-import hit “Fire Pro Wrestling” line. 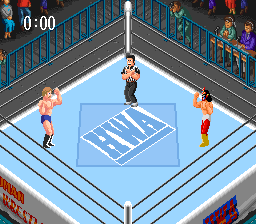 The gameplay in this entry – once again a rerelease of the retail cart version – is similar to the NES game “Pro Wrestling”. 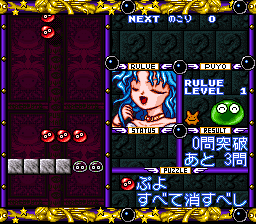 Super Nazo Puyo, a psuedo-RPG/Puzzle game hybrid based off Compile’s arcade puzzle game line. 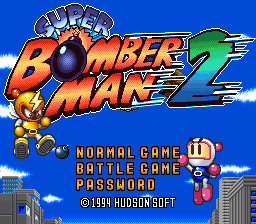 Even though this is based off a standard retail release, an emulator like ZSNES would have problems with this ROM in spite of being able to play the original game normally. Now, for my last release. This one is a bit more personal to me than the rest, because this is an 8M Pack I purchased myself, with my own money, to be dumped. When I initially got it it appeared to be empty, but of course I knew (well, because the YJA auction description implied it) that it had some sort of data, so I sent it to Callis to dump. He returned to me, this very ROM image. 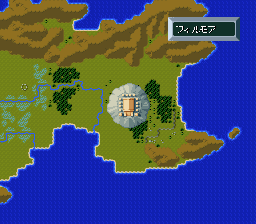 Strangely enough, I had people request me to find this bit of data before I actually did find it. 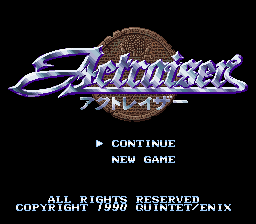 As per the above entries, I do not suspect it to be any different from the retail (Japanese) version in terms of gameplay. However, Callis did tell me of emulation issues, so I once again expect SRAM code modification.